We want to send some holiday cheer your way! What better way than a FREE book to read in front of the fire and a beautiful frame with a quote from one of our favorite authors, Jane Austen! 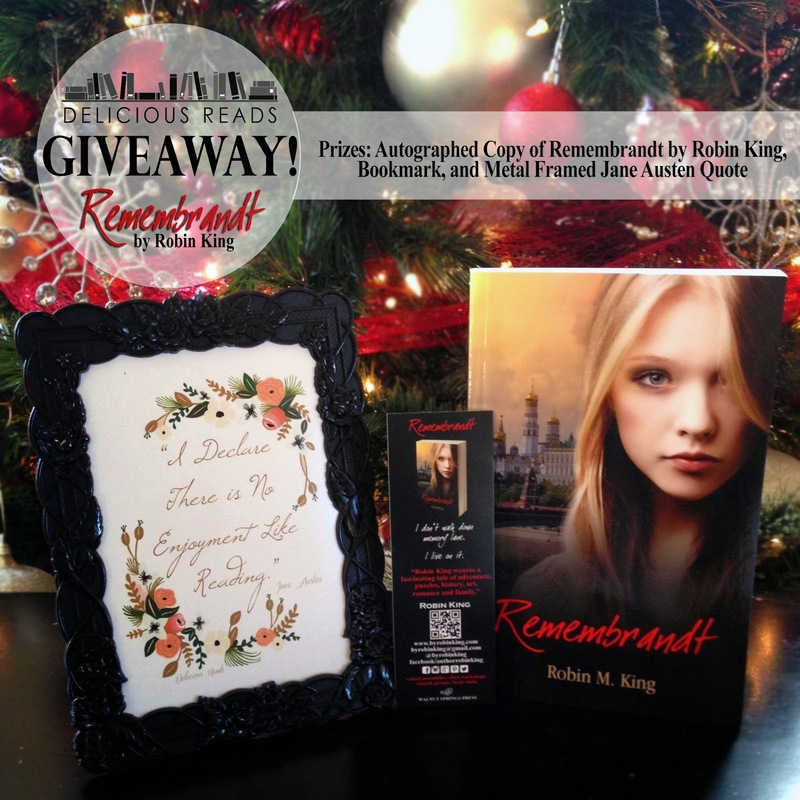 Remembrandt by Robin King is a young adult suspense that will keep you on your toes with the action and mystery and sighing over and over with the romance. Summary: Alexandra Stewart doesn't just walk down memory lane - she lives on it. The seventeen-year-old starts a new semester at Brown University, hoping to leave behind painful memories, which is nearly impossible when her eidetic memory replays everything in her mind in movie-esque detail. Things aren't always what they seem: her new running partner will show up in another important area of her life, her Russian professor is anything but ordinary and Brown University holds a well-kept secret. This is our book club pick for our meeting in February so it's a must have if you want to read along with us! Check out the other books 2015 Book Picks. Giveaway Details: Winner will be chosen randomly by Rafflecopter on Friday, December 12, 5pm MST. They will be notified via email and on this page. Rules: Only those 18 years and older may enter (Sorry, younger teen friends. Ask your parents to enter!). Only residents of the United States. The prizes offered are free of charge. No purchase necessary.